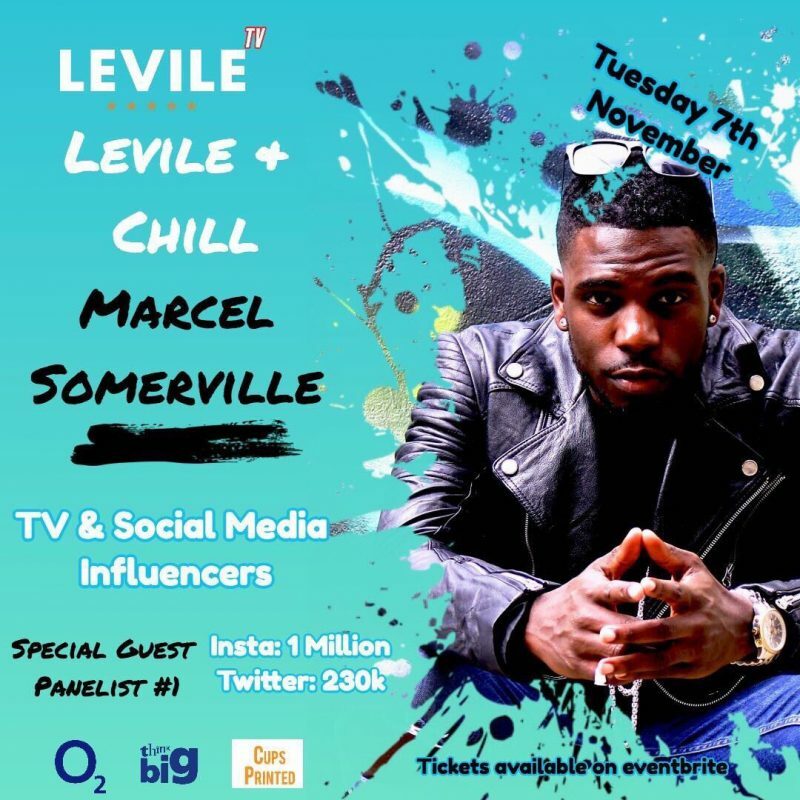 Levile & Chill is a new monthly event providing creatives with the opportunity to network with like-minded individuals, all hosted at the O2ThinkBig hub. The next instalment is taking place on Tuesday 7th November and features Love Island favourite Marcel Somerville. If you are passionate about all things TV & film including acting, directing, producing, filmmaking & presenting, see below for more info! Industry expertise & personal journeys from our guest panelists with live audience Q&A's. Live Monologue performances from Actors across the UK. Insight on how to get funding from O2 for your project. The Levile Pitch – 3 Attendees will have the opportunity to pitch an idea and have it produced at Levile HQ. What You Watching? – What's hot on Netflix or in the cinema. Debate about your favourite shows and characters, from Power to Game of Thrones. A screening of our favourite short film. Creatives of the month awards: Director, Actor and Honourable mention. Special Guest panel: Marcel Somerville (ITV2's Love Island) + more TBA. This month's event will be hosted by Levile'sofficial presenter and KISS FM 'Chosen One' winner Swarzy Macaly. If you are a creative seeking funding, don't miss out on the opportunity from Levile's pals at O2. Early bird tickets are £5 while standard tickets are £8 – click here to grab yours now before they sell out.